Wooden heater shield. 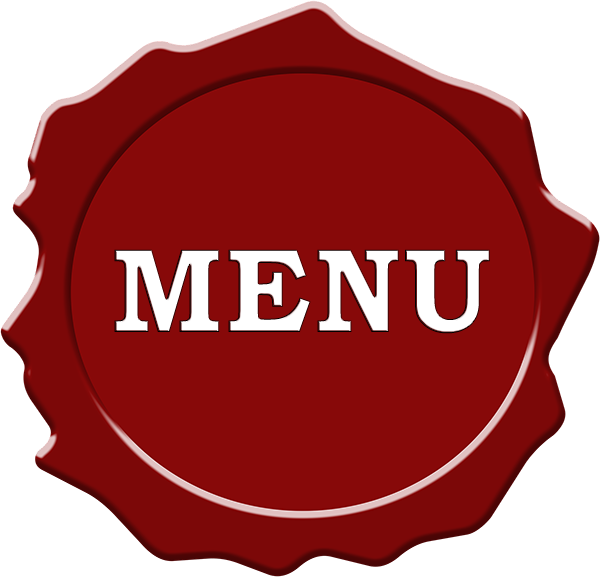 MEDIEVAL MARKET - SPES. A heater shield made from 8 mm plywood. Edges strengthened with a rope. Front and soides covered with two layers of fabric, back side covered with one layer of fabric. Painted white with acrylic paint. 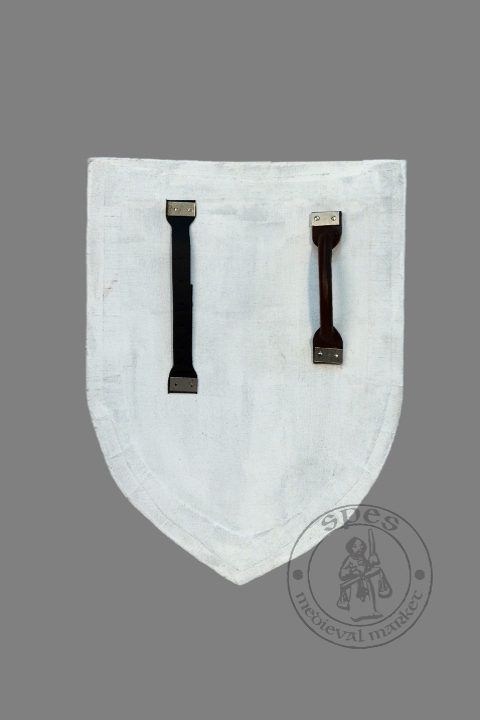 Shields were commonly used in Middle Ages to protect body during battles and duels. 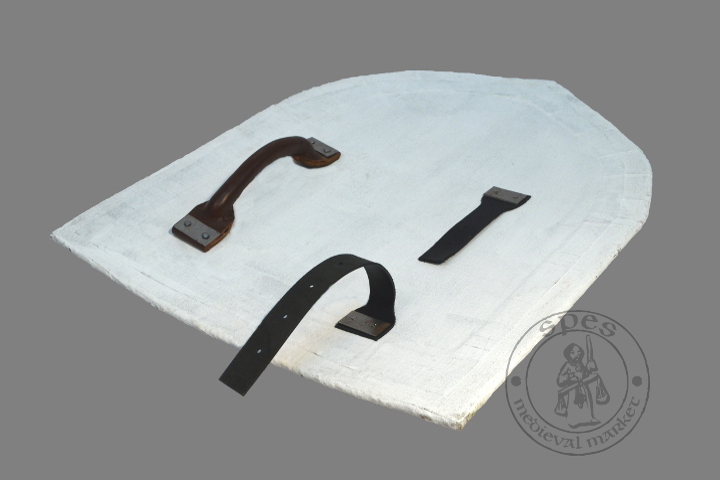 Heater shields appeared in 13th century, due to increased role of cavalry. But they were used also by foot soldiers. 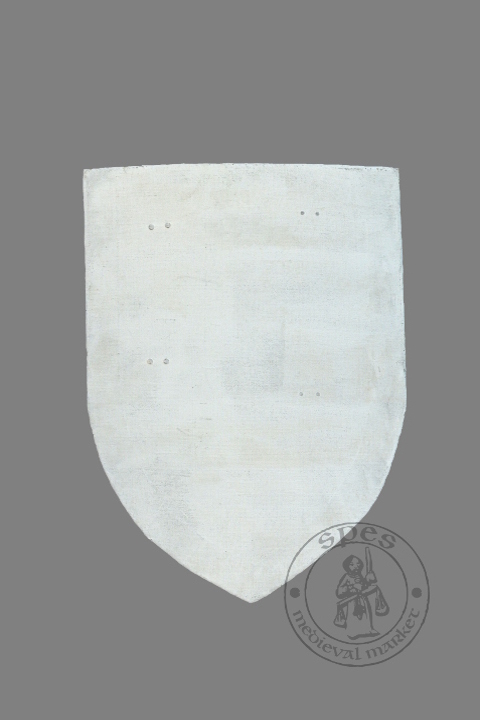 Heater shields were used until end of 15th century. If you want a not painted shield you should write it in Additional Information while ordering.